What is the Class Agent program? 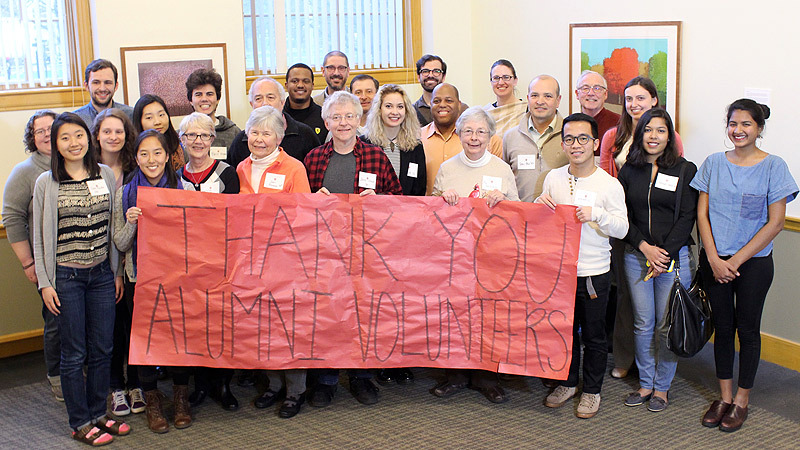 Macalester’s Class Agent program supports donor participation and the Macalester Fund while connecting with alumni in a direct and personal way. Join our network of alumni to spread the word about why giving back to Mac is so important. Class Agents play a vital role in supporting the Macalester Fund — you share experiences, professors, and stories with your classmates. Every gift counts, and your influence helps create opportunities for Mac students on campus today. Support the Macalester Fund every year. Engage 10 classmates with the college, with the ultimate goal that they contribute to the Macalester Fund. 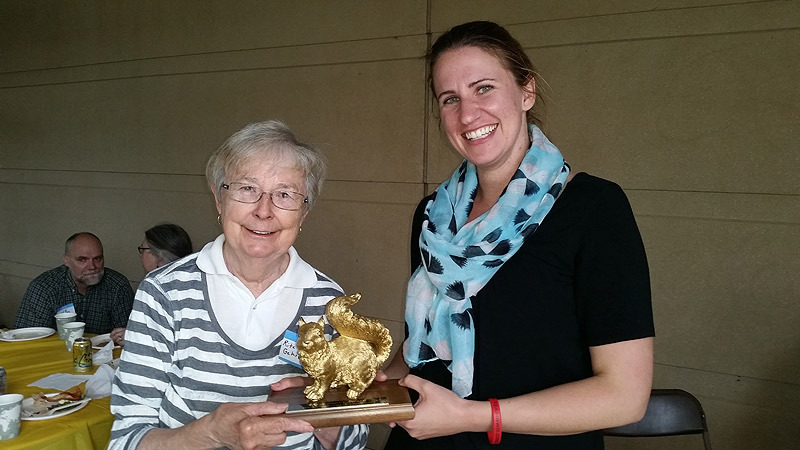 Rita Gehrenbeck ’57 and Emily Seddon ’08 are both class agents and former golden squirrel recipients. Contact the Macalester Fund at 651-696-6909 or macalesterfund@macalester.edu.